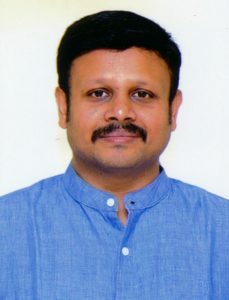 Mr.S.M.Seeni Mohaideen B.Com.,M.B.A., the Chief Executive Officer is a personality with heterogeneous abilities that map into performance. He did his Masters in Business Administration at The New College Institute of Management, Madras University. He is holding the post of the Syndicate Member of Tamil Nadu Open University and also the former President, Tamil Nadu Football Association. He is a sportsman and an athlete nurturing the sporting spirit which is vital for their wholesome development. His proactive nature in academic planning has helped Sethu Institute of Technology witness a phenomenal growth in academic and professional stature continuing to add new dimensions.